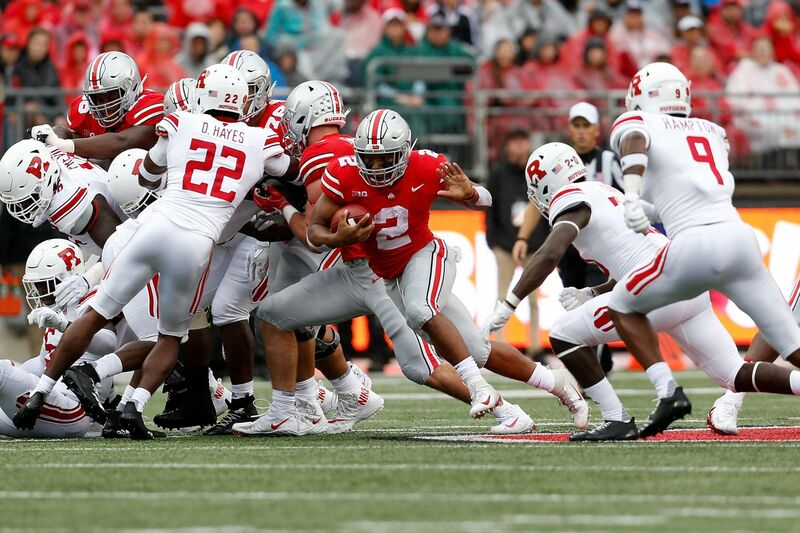 COLUMBUS, Ohio – Ohio State passed for 354 yards and five scores on its way to a 52-3 win over Rutgers Saturday at Ohio Stadium. The victory was the 900th in program history. 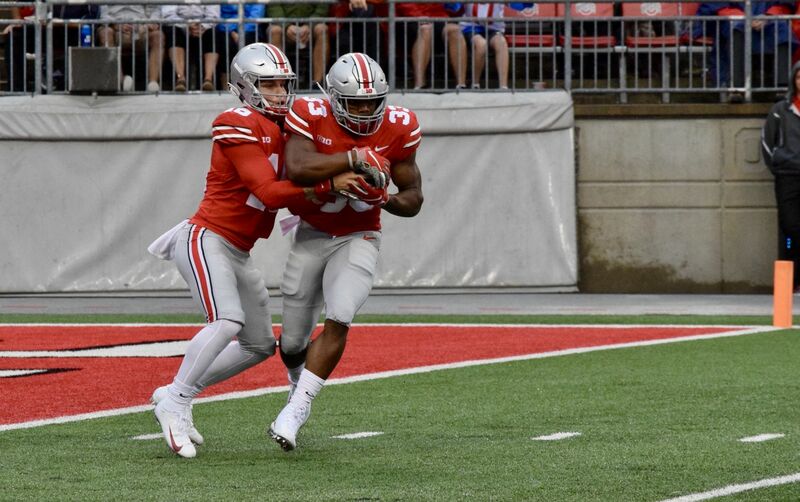 Sophomore Dwayne Haskins Jr. completed 20 of 23 tosses for four scores while redshirt freshman Tate Martell was 10-10 through the air with one score. The Buckeyes tallied 579 in total offense giving them 1,300 yards of offense through the first two games of the season. 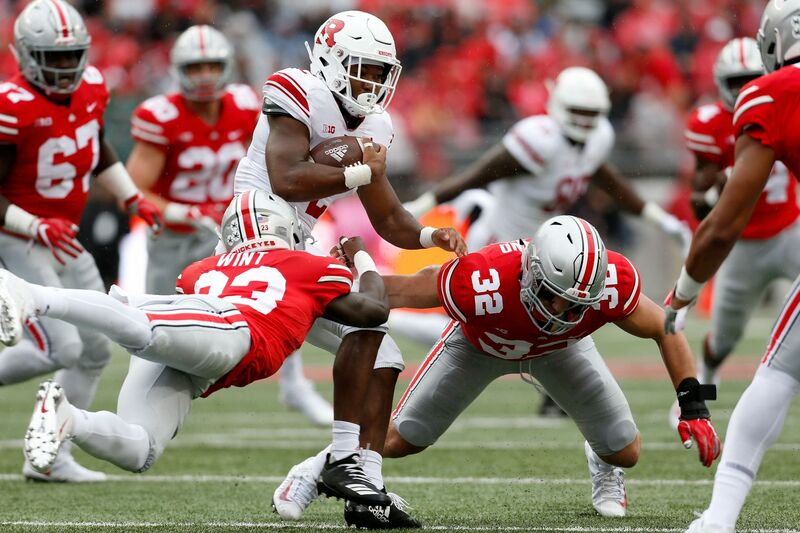 The Ohio State ground game was led by the combination of Tate Martell‘s eight carries for 95 yards and one touchdown and J.K. Dobbins’ 12 carries for 73 yards and one touchdown. Ten Buckeyes caught at least one pass with Parris Campbell and K.J. Hill each grabbing five. Johnnie Dixon caught four passes for 89 yards and two scores. 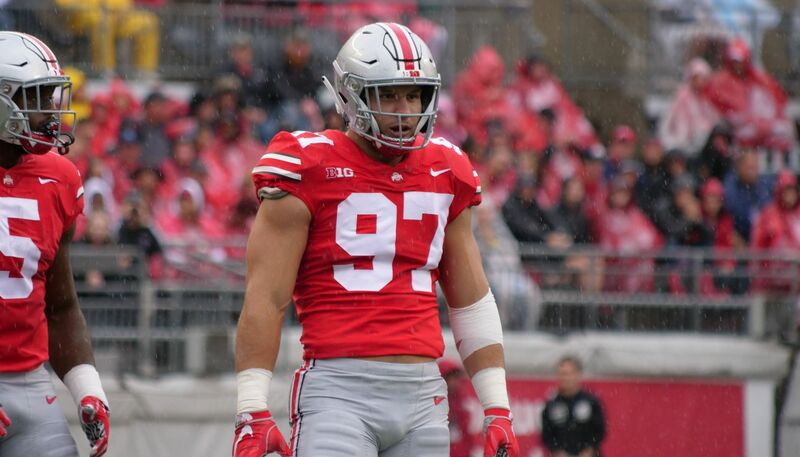 On the defensive side, Nick Bosa recorded five tackles, including three for loss and one sack. 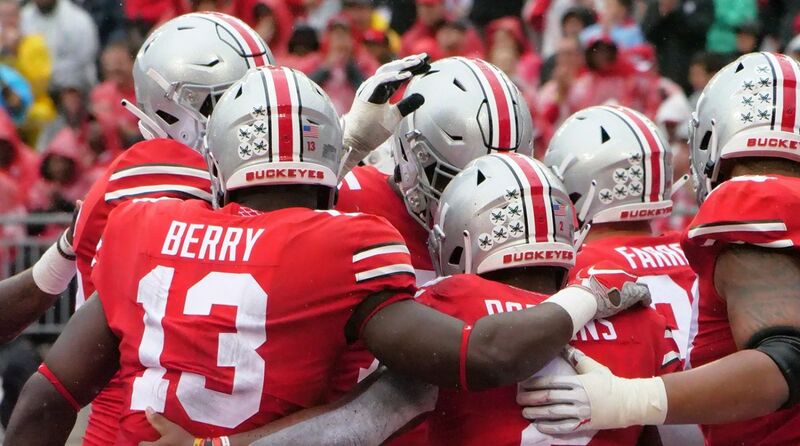 The Buckeyes travel to Arlington, Texas, next Saturday to face Texas Christian University at AT&T Stadium. Kickoff is set for 8 p.m. on ABC. The Rutgers offense gained two yards on its opening drive and was forced to punt. 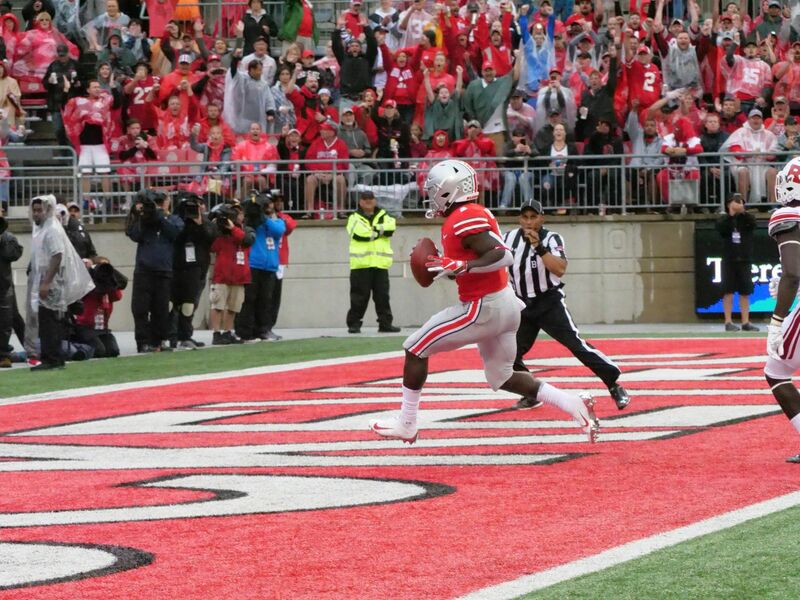 The Buckeyes took over on their own 33 and drove 67 yards on five plays for the opening score. 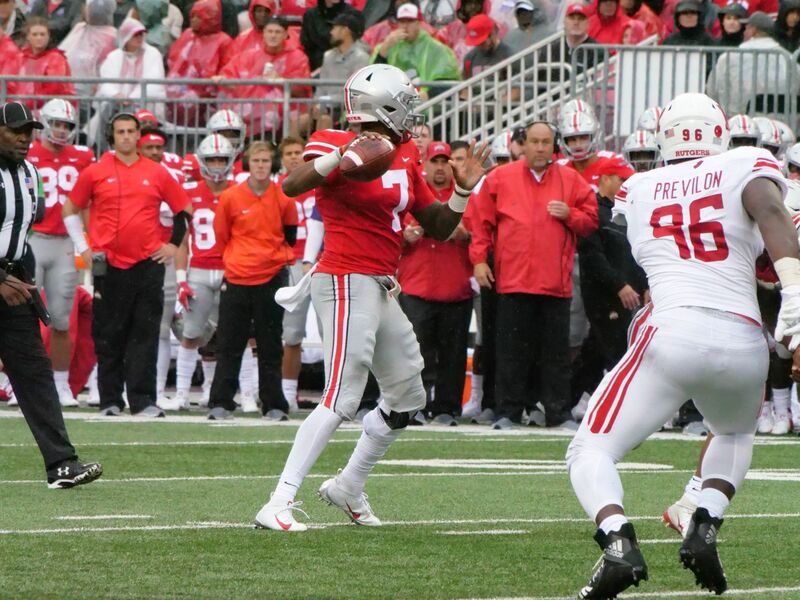 Sophomore quarterback Dwayne Haskins Jr. completed a 38-yard strike to Johnnie Dixon for the score giving the Buckeyes a 7-0 lead with 10:57 left. The Scarlet Knights elected to return the second kickoff of the game after calling for a fair catch to open the contest. 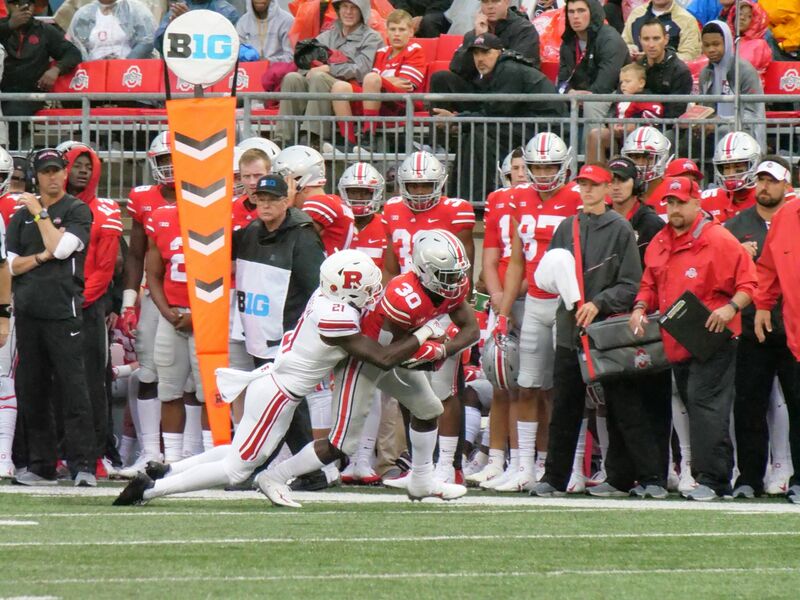 Rutgers returned the ball only to its 13 but was unable to gain a first down and was again forced to punt, which went out of bounds on the Ohio State 46. The Buckeyes punted on its next possession, pinning the Scarlet Knights on its 11. Rutgers moved to its 31 before punting for the third time in the game. The Scarlet Knights were called for kick catch interference, a 15-yard infraction, giving the Buckeyes the ball on the 50. Seven plays later Parris Campbell caught a Haskins pass for a 16-yard touchdown giving the Buckeyes a 14-0 lead with 3:22 remaining in the opening quarter. The drive covered 65 yards over 2:25. Rutgers failed to gain a yard following three-consecutive incomplete passes on its next possession. The Buckeyes took over after a 6 yard punt return on the Ohio State 29. The Buckeyes took a 21-0 lead after Haskins completed a 9-yard touchdown pass to tight end Luke Farrell with 13:28 remaining in the opening half. The drive covered 71 yards on 13 plays. The Buckeyes regained possession on the Rutgers 45 after a C.J. Saunders 20-yard punt return with 12:26 showing on the second quarter clock. Tate Martell then took the helm of the Ohio State offense at quarterback. He guided the Buckeyes to a touchdown capped by his 51-yard scoring pass to Terry McLaurin with 11:05 left in the second quarter. The play was a third and 16 call down the right sideline. Martell’s first drive of the game covered 45 yards on three plays in 1:21. 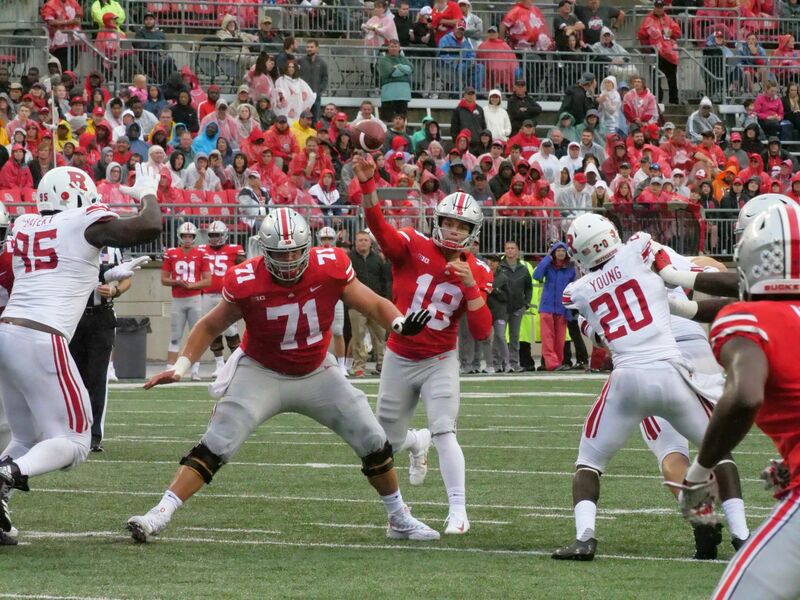 The Ohio State defense again forced a Rutgers punt that was downed on the Ohio State 24. Haskins returned to the field at quarterback and guided the Buckeyes back to the end zone for a 35-0 lead. J.K. Dobbins scored on a 2-yard run after a drive covering 76 yards on nine plays. The score was the 12th carry of the game for Dobbins. 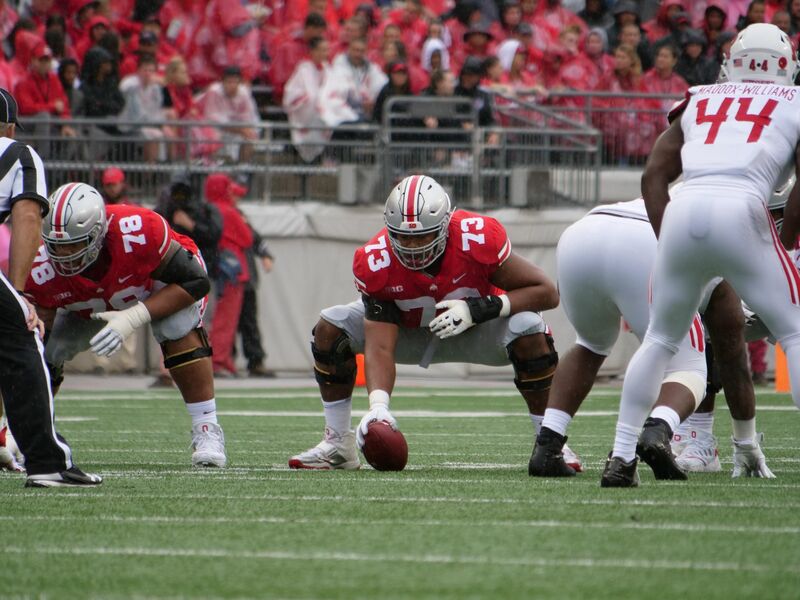 The Buckeyes got the ball back with 3:39 left in the half after a Kendall Sheffield interception at the OSU 22. The Buckeyes did not capitalize and was forced to punt. The half ended on a Nick Bosa sack with Ohio State leading 35-0. 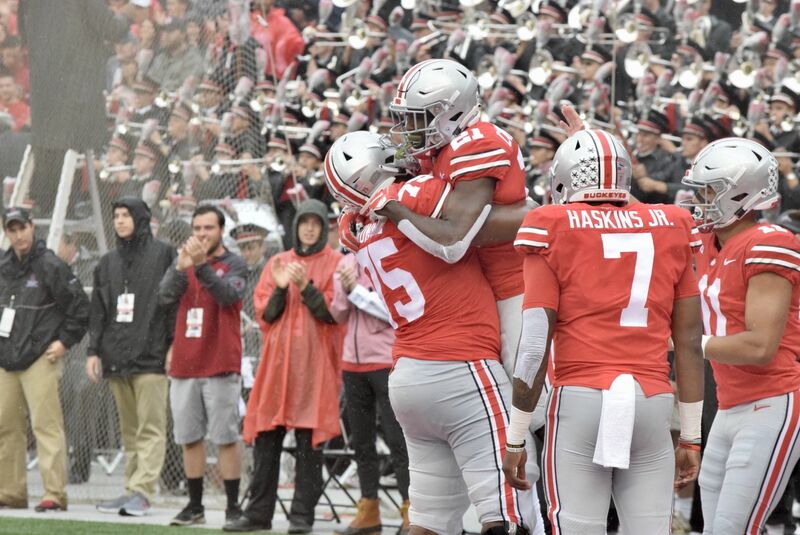 Notes: Over Ohio State’s first four possessions of the game, Haskins completed 10 of 12 passes for 117 yards and three touchdowns. Tate Martell’s first career TD pass came on a 51-yard toss to Terry McLaurin early in the second quarter. The last time Rutgers scored against the Buckeyes was a touchdown with 13 second left in the fourth quarter of a 49-7 win for Ohio State in 2015. The Buckeyes have held the Scarlet Knights without a point over the last 10 quarters. Ohio State has scored 149 points during that span. Haskins completed the half completing 17 of 20 passes for 167 yards and three TDs. Ohio State had 310 yards in total offense while Rutgers gained 45. The Buckeyes had the first possession of the second half and quickly scored on a 44-yard touchdown pass from Haskins to Dixon giving Ohio State a 42-0 lead. The drive covered 84 yards over 2:07 on five plays. Rutgers scored for the first time in 11 quarters against the Buckeyes with a 49-yard field goal with 8:02 left in the third to cap a 10-play, 52-yard scoring drive. 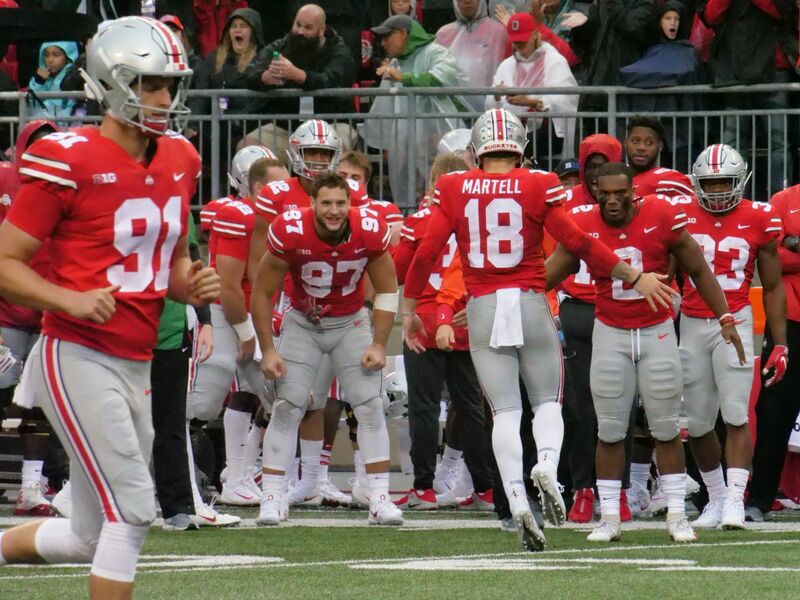 Martell returned to the field at quarterback for the Buckeyes and drove Ohio State 58 yards for a Sean Nuernberger 21-yard field goal to push Ohio State’s lead to 45-3 with 3:19 left. Haskins now has nine touchdown passes on the season with just one interception. After three quarters, Ohio State quarterbacks are a combined 27-30 passing for 338 yards and five TDs. Martell is 7-7 for 105 yards and one score. Haskins is 20-23 for 223 yards and four scores. In his last two games vs. Rutgers, Johnnie Dixon has seven catches for 204 yards and four touchdowns receiving (70, 44, 39, 38). Shaun Wade recorded his first interception of the season, leading to Tate Martell electrifying the crowd with a 47-yard run to paydirt.